The scheme is of particular interest to people without jobs. In Finland, they now number 280,000 – 10% of the workforce. “A basic income? 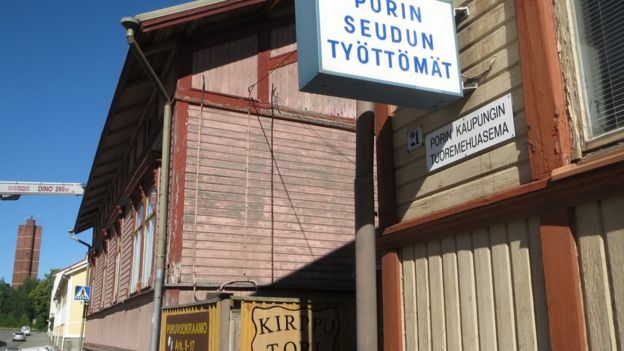 Yes, I’d gladly have €1,000 (£700, $1,100) a month,” says one man at a centre for the unemployed in Pori, near Finland’s west coast. But the amount is unlikely to be anywhere near that high. “It’s a nice place to socialise,” says another man sitting on a bench outside, enjoying the summer sun. People here have been out of work for a long time. 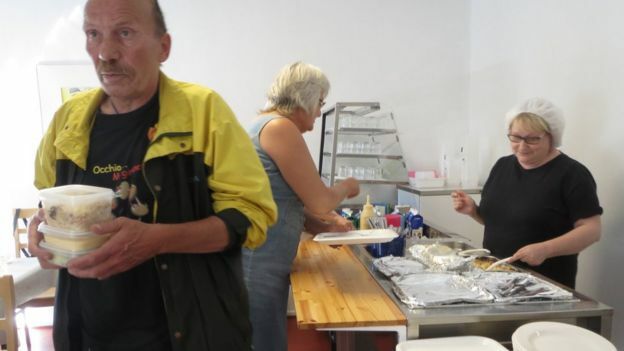 “A basic income would encourage people to take a temporary job,” says Paivi Hietikko, who helps out at the centre. Although she has no regular income at the moment, she does receive a payment for her work here. Supporters of the basic income believe it could offer an alternative to Finland’s complex and costly benefit models. Paivi Hietikko certainly sees its potential advantages – but she also wonders whether it would deter people from looking for work. “The young especially might lose the motivation to look for a job, if it was, say, €700 a month. That would be too much,” she says. “What would be the impact of a basic income to employment in Finland – positive or negative? We can’t really foresee how people would behave with a basic income,” says Ohto Kanninen, from the Tank research centre. Mr Kanninen proposes testing the idea by paying 8,000 people from low income groups four different monthly amounts, from €280 to €500. “If the impact on employment during the experiment was catastrophic, basic income would of course not be implemented on a large scale,” he says. One obstacle to staging a pilot project is Finland’s constitution, which states that every citizen must be equal.